What’s better than sloppy joe’s for dinner? 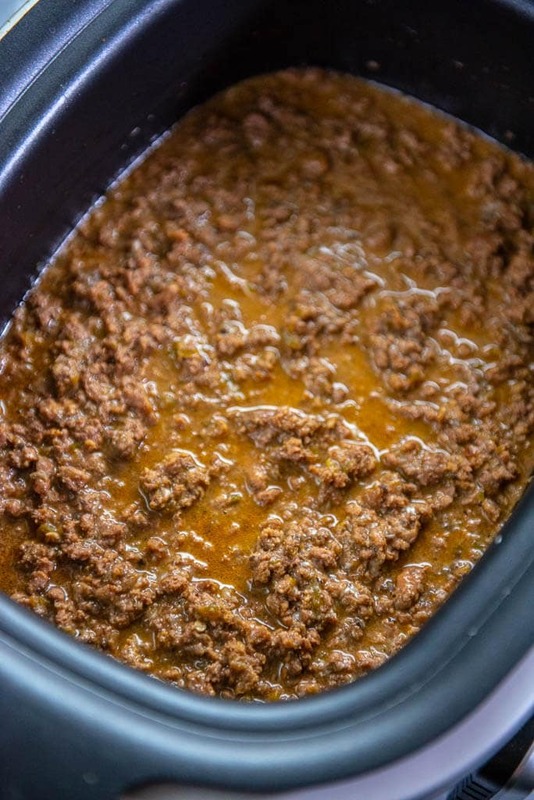 Slow Cooker Philly Cheesesteak Sloppy Joe’s!! If you like the original version you will love the added flavors of these for dinner tonight! When I told my family what we were having for dinner they looked at me with a decent amount of skepticism. You made what into what? I’m sure that’s what they were thinking. But, sometimes you’ve got to get creative and the good news is, they not only ate it for dinner but they ate leftovers too! When you get into a dinner time rut, sometimes you’ve got to mix it up. 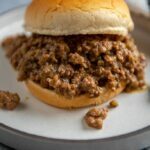 And my mixing two favorites we end up with these delicious and cheesy Slow Cooker Philly Cheesesteak Sloppy Joes! 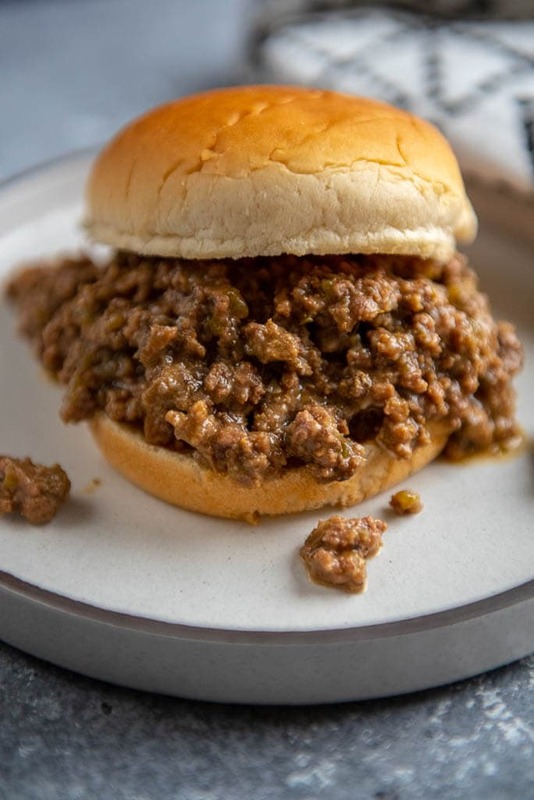 Can you make sloppy joes ahead of time? Yes! That’s the beauty! You can brown up the meat and get all the veggies added and they will just cook away all day. All that will be left is to stir in the cheese and serve it up on some hamburger buns. This is even a great recipe to meal prep! Since the meat is fully cooked you can cool it, add everything else and put in a freezer bag or container. When ready to cook simply thaw and add to slow cooker on low for the day! 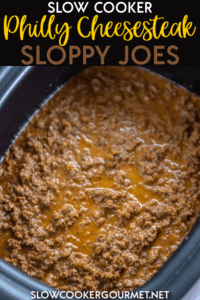 What can you serve with sloppy joes? 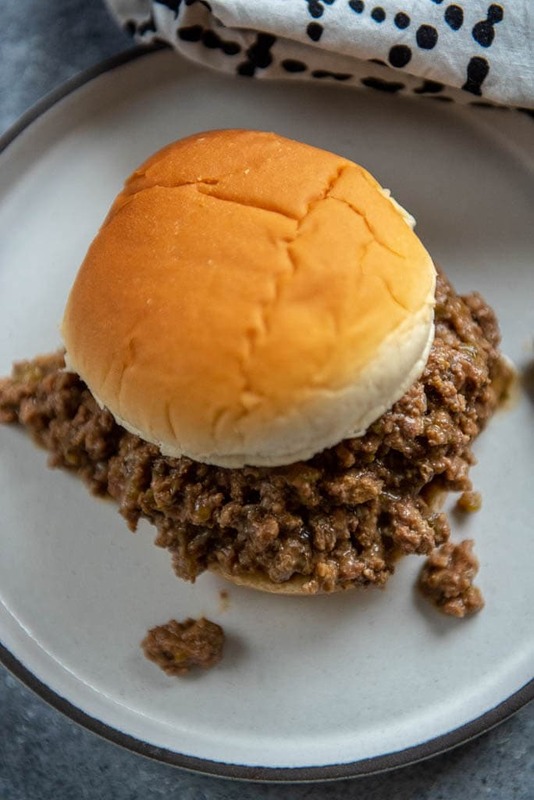 How do you make Philly Cheesesteak Sloppy Joes? What's better than sloppy joe's for dinner? 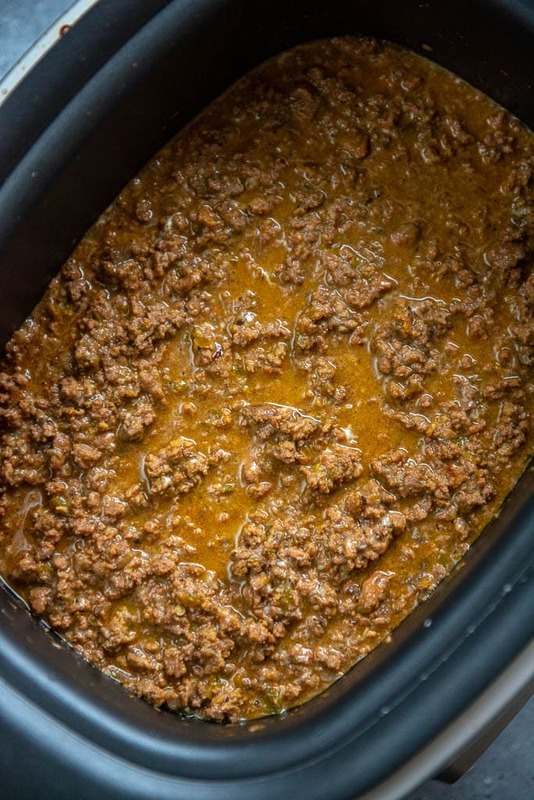 Slow Cooker Philly Cheesesteak Sloppy Joe's!! If you like the original version you will love the added flavors of these for dinner tonight! Nutrition information is for sloppy joes only and doesn't include buns. To make quick work of finely chopping my veggies, I used my mini-chopper. Absolutely amazing everyone including kids loved it!! We tripled the receipe and had to add a lot more cornstarch to thicken but other than that followed it to a T and it was AMAZING! !